We should all be concerned about Thursday’s 2-1 decision by the U.S. Court of Appeals for the 2nd District that the FDA needn’t consider the banning of antibiotics in healthy food producing animals. Given the growing menace of antibiotic resistant infections among humans and the inveterate use of antibiotics in the meat industry to promote weight gain or combat disease, we draw closer to a pandemic in which even a minor wound or infection could prove deadly. I may have been one of them, having just recently recovered from an extended bout with a staph infection that ultimately required daily IV. I naively had told my infectious disease physician that I didn’t really want to leave the hospital until I was over the infection. His rejoinder was that a hospital wasn’t the safest place to be, given the infection rate incurred among patients (one out of three). More than 70% of all antibiotics are administered to animals, even when healthy. To be fair, I can’t say what all the factors were in the court’s split decision, except that it imperils all of us. Consider that Carbapenem antibiotics used as a fallback in treating life-threatening infections from a common intestinal bacterium are now ineffective for nearly half of those treated in some countries. This bacterium is a major source of hospital acquired infections such as pneumonia, bloodstream infections and infections among newborns and intensive care patients. Likewise, our best antibiotics for treating urinary tract infections caused by E. coli are now ineffective in more than half the cases. Ten countries are now reporting that their last resort antibiotic for gonorrhea no longer works. Unfortunately, while the FDA did ask pharmaceuticals, animal producers and vets to exercise restraint in employing antibiotics that are also used for humans, the FDA appealed an earlier court ruling banning penicillin and two kinds of tetracyclides promoting growth, unless users can provide evidence it won’t produce drug resistant microbes. Thus, the Court’s decision in favor of the FDA’s appeal. Overseas, the EU has banned the use of antibiotics in animal feed (2006) and now South Korea has done the same. 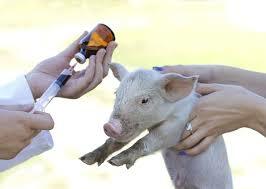 In China, however, the use of antibiotics in animal production is widespread. That animal and human health are linked was decisively demonstrated in outbreaks of multi resistant Salmonella in 2011, 2012 and 2013, traced back to ground beef and poultry sources (National Antimicrobial Resistance Monitoring System). Wealthy countries take for granted the triumph of science over bacteria, but increasingly doctors are battling infections that can only be quelled by the most powerful antibiotics known to medicine–or, at worst, by none of them at all. In the United States alone, antibiotic-resistant infections cause roughly 100,000 deaths a year. Imagine a world in which antibiotics produce toxic effects and unpredictable outcomes instead of the guaranteed cures we have come to expect–and you can understand what keeps epidemiologists awake at night (298-99). The Court’s decision brings that day much closer. This entry was posted in Health, Reflections and tagged animal prduction, antibiotic resistance, antibiotics, factory farming, Health, medicine. Bookmark the permalink.